Do your employees/drivers need to improve their driving awareness? Are your drivers accident claims getting out of control? Evergreen Safety Council’s 2-day EverSafe Driving Instructor Certification in Spokane, WA can help! About the Course: This two-day defensive driving course trains candidates to become EverSafe Driving Instructors. Training sessions emphasize the interaction of driver, equipment, and environment. Implementing policies, maintaining records, and supervisory techniques are also covered. Course fee covers instructor materials, continental breakfast and lunch. Note: Certified instructors are required to purchase a participant guide for each person they train (one certification card is included with each participant guide), which start at $4.35 per guide. Some orders will qualify for a quantity discount. ESC members receive a discount on all book orders. Registration: You can register for the EverSafe Driving Instructor Certification class by visiting our website and clicking on “Search/Register for Safety & Health Courses” or you can print a registration form and fax or email it to us. The UW Department of Environmental & Occupational Health Sciences (DEOHS) has organized a special seminar to commemorate the 100th anniversary of the Triangle Shirtwaist Factory Fire of 1911. The tragic fire killed 146 garment workers and sparked a new era in regulation and labor activism focused on worker rights, health, and safety. The seminar is co-sponsored by the Harry Bridges Labor Center and the UW-Bothell Master of Arts in Policy Studies program. Lessons from the Past, of the Present, and for the Future. The Past: Gerald Markowitz. "The Revolution in Workplace Safety and Health: The Triangle Fire and its Aftermath." Gerald Markowitz is Distinguished Professor of History at John Jay College of Criminal Justice and the Graduate Center, City University of New York. Together with David Rosner he has authored books and articles on the history of public health, environmental health, and occupational safety and health, including Deceit and Denial: The Deadly Politics of Industrial Pollution (University of California Press, 2002). The Present: Tom O'Connor. "Confronting the Anti-Regulatory Agenda: Current National Advocacy Campaigns to Advance Worker Health and Safety Protections." Tom O’Connor is the Executive Director of the National Council for Occupational Safety and Health, the umbrella organization for 20 state and local “COSH” groups, or Coalitions on Occupational Safety and Health. He has over 20 years of experience working as an advocate for workers’ health and safety. He has been involved with the “COSH” groups since 1994. He also coordinates the national policy advocacy efforts of the Protecting Workers Alliance, a broad-based group of worker health and safety advocates. The Future: Interdisciplinary panel of students from across UW, including DEOHS and the Harry Bridges Labor Center. It Will Get Hot Again, We Promise! Many carriers may not know what to do. These letters drive the need for carriers to review safety practices and training, as well as to shore up possible deficiencies. The Evergreen Safety Council Online Institute, which features courses designed to cover the training required by the FMCSA. FMCSA has begun sending an initial batch of 23,000 Compliance, Safety, Accountability program warning letters to fleets as the agency begins concrete interventions in its new program. Over the next several months, a total of at least 50,000 warning letters will be sent, Boyd Stephenson, manager of safety and security for ATA, told Transport Topics. Warning letters advise carriers that their performance merited “alert” status by falling below acceptable levels on at least one of CSA’s Behavior Analysis and Safety Improvement Categories, or BASICs. Those BASICs, such as unsafe or fatigued driving, form the statistical heart of CSA’s safety measurement system, which assigns a percentage ranking on each BASIC and establishes thresholds. Warning letters are sent when threshold levels are exceeded. “A review of [insert carrier name] safety data shows a lack of compliance with motor carrier safety regulations and suggests that your safety performance has fallen to an unacceptable level,” John Van Steenburg, director of FMCSA’s Office of Enforcement and Compliance, writes in these alert letters. Agency spokeswoman Candice Tolliver said both trucking and bus companies will receive letters over the next two months, but she couldn’t say exactly how many went to truck fleets. About 8% of carriers will receive warning letters, based on FMCSA statistics that count 650,000 carriers. Stephen Keppler, executive director of the Commercial Vehicle Safety Alliance, said the warning letters are an important step because they quadruple the number of carriers facing active FMCSA intervention. Under the former SafeStat system, the agency took action against just 2% of carriers. Keppler said it was difficult to judge industry safety levels based on the number of warning letters because there is no earlier point of comparison to show whether progress was being made. Warning letters can be followed by off-site or on-site investigations if carriers’ performance doesn’t improve. There is no time limit for responding to the letters. The agency’s enforcement options include creation of a cooperative safety plan, imposition of civil penalties, suspension or revocation of vehicle registration or revocation of operating authority. “Just because you get a warning letter doesn’t mean you are a bad carrier,” Keppler said, noting that the agency’s tightest focus will be on 7,900 highest-risk carriers with the worst safety performance. “The important thing is that folks who get these things pay attention,” he said, adding that he was encouraged that more than half of carriers who received warnings during the CSA pilot test period took effective remedial action. Fleets receiving the letters are subject to increased roadside inspections. To help fleets improve compliance, the agency posted a Tip Sheet on its website that advises what they can do after a letter arrives. Fleets are advised to conduct a detailed analysis of their safety data and take steps to improve compliance. Those steps include checking data for accuracy, correcting any errors, understanding the Safety Measurement System used to compute the scores and using a detailed analysis to improve compliance. A factsheet about the warning letter intervention provides a sample warning letter and some frequently asked questions. Meanwhile, a new report highlighted FMCSA’s plan to sharply increase funding and staffing for CSA. The Feb. 25 report by the Government Accountability Office said the agency requested $78 million in its CSA budget for fiscal 2012, compared with $9.5 million it spent in fiscal 2010. The report was requested by the Republican and Democratic chairmen of the congressional transportation appropriations subcommittees as well as their ranking minority members, who expressed concern about past funding levels. In total, FMCSA contemplates having 696 employees working full time on the program, the report said. By comparison, 45 people worked on the program in 2009, with just five of them full-time employees. In the most recent edition of CVSA's Guardian, Anne Ferro, Administrator of the FMCSA, addressed the issue of warning letters for the new Compliance, Safety, Accountability (CSA) enforcement program for commercial trucks and buses. She characterized the letters as “an important part of the CSA intervention process” by notifying carriers of their safety performance issues so they can take corrective action, “sort of like a first-level intervention.” FMCSA issued warning letters only in nine pilot-test states in January. Carriers located in the remaining 41 states will receive warning letters during the first quarter of 2011. “We expect to send about 27,000 warning letters during this timeframe,” she said. “After the initial round, FMCSA anticipates sending about 3,100 each month nationwide.” She noted that states can expect more DataQs requests as a result of warning letters. The DataQs system is an electronic means for filing concerns about federal and state data released to the public by FMCSA. Through this system, data concerns are automatically forwarded to the appropriate office for resolution. The system also allows filers to monitor the status of each filing. 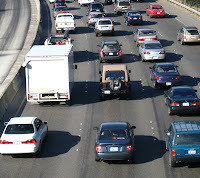 Oregon Traffic Fatalities Down Again in 2010! 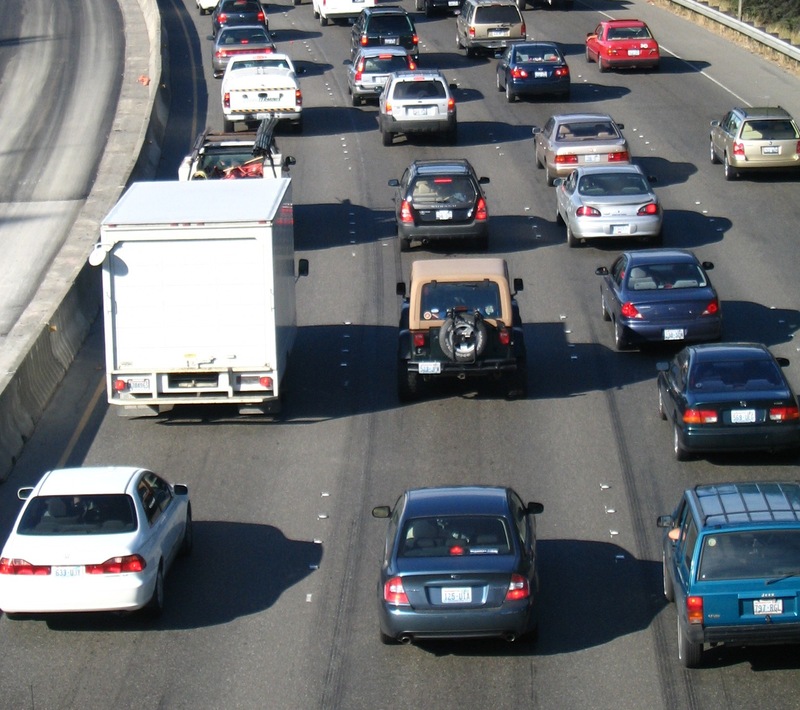 Oregon posted another dramatic drop in traffic fatalities in 2010. The preliminary figure currently available from ODOT’s Transportation Safety Division is 325. That’s nearly 14 percent lower than the 2009 figure—and one of the biggest 2010 percentage drops in the nation. 2009 was an impressive 9 percent drop from 2008. The last time Oregon saw low numbers like these was in the 1940s when there were far fewer drivers on the roads. So what’s behind all of this good news? In general terms, less exposure means fewer “opportunities” for crashes. In fact, there was a fairly dramatic reduction in miles traveled in Oregon in 2008 vs. 2007—about 5 percent—but miles bounced back almost 2 percent in 2009. So, miles increased, but fatalities still dropped 9 percent in 2009. No answer here! Although it’s tempting to somehow pin a dramatic reduction in traffic fatalities to a dramatic downturn in the economy, fewer employed is another version of fewer miles traveled and we don't see that translate into fewer traffic deaths. No solution here. This theory would seem to hold the most promise. When gas was at $4.25 a gallon, we knew if we slowed down, we’d save a couple bucks a tank. But the data that ODOT collects on speeds travelled on state highways doesn’t indicate sustained speed reductions that could account for such a striking drop in traffic deaths. Mystery still unsolved. “I think we have to turn to those who are in the business of saving lives—essentially the 4 E's—education, law enforcement, the emergency medical technicians, and the highway engineers. In fact, one place where we find a direct correlation between safety activities and fatality reduction is in the recent spike in highway safety investments—cable and other median barrier; wider shoulders, center and edge rumbles strips, pavement marking and intersection improvements. Federal appropriations for highway safety investments increased significantly in 2006. Safety projects planned based on this increased funding went to bid and began to pay dividends beginning in 2008—and they continue to pay us back in terms of additional lived saved every year. Source The ACTS Oregon (Alliance for Community Traffic Safety) Traffic Safety Connection newsletter. ATTN: Oregon Safety Professionals. Are you attending GOSH this week in Portland? Be sure to visit the Evergreen Safety Council booth #125 on Tuesday and Wednesday.